A few snaps of the Rockette Family Christmas House. 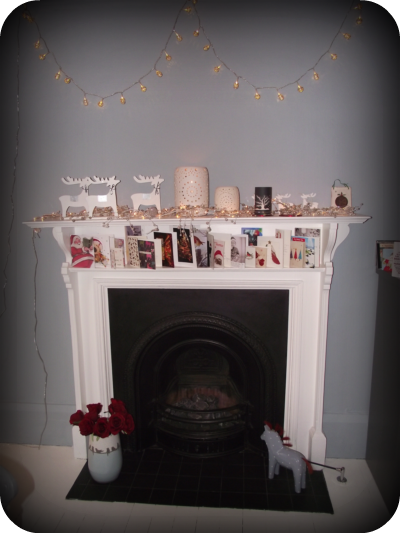 Mother Rockette went with a white theme for this fireplace, with white fairylights, and white decorations. The white paper balls hanging from the ceiling are in fact christmas decorations. Quite cool! The living room fireplace had a nature/green theme - understated but effective! If I ever own a store, Mother Rockette will certainly be in charge of window displays! Fancy a sneak peek at my christmas presents?